You will also receive our weekly #Brexit Watch, keeping you informed on all things Brexit. You can choose to become part of our real-life input panel, which offers you the opportunity to make your business voice heard at EU level. Through regular surveys, we will use your expertise to tell Brussels policy-makers where the shoe hurts! Have a problem with EU rules? 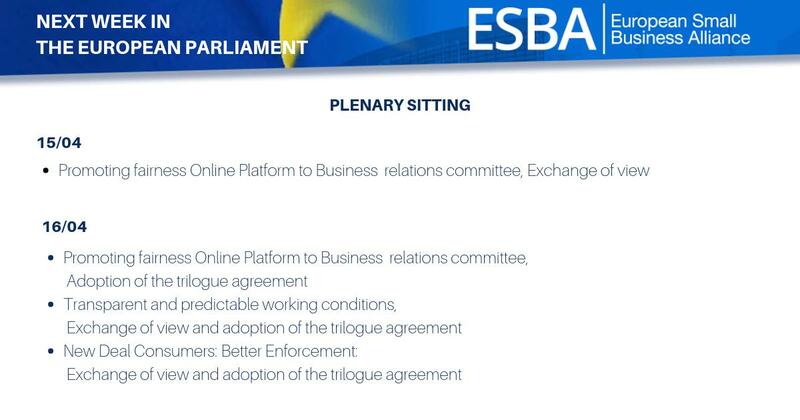 Gold subscribers will have unique access to the ESBA secretariat for any EU related business questions. ESBA strives to answer your questions within three business days and help you on your way! This level of subscription is uniquely for our corporate supporters. Do you like our work and would you like to support us? Donate by becoming a platinum member, with the option of having your company name and logo in our ‘Friends of ESBA’ gallery on the ESBA website. This form of subscription also comes with the possibility to sponsor events and/or advertise in our publications.